The required information are not mandatory to answer. If the user edits an information you already had in the contacts database, this information will overwrite the old one. To add the info form, go to the “Settings” section of the survey menu. 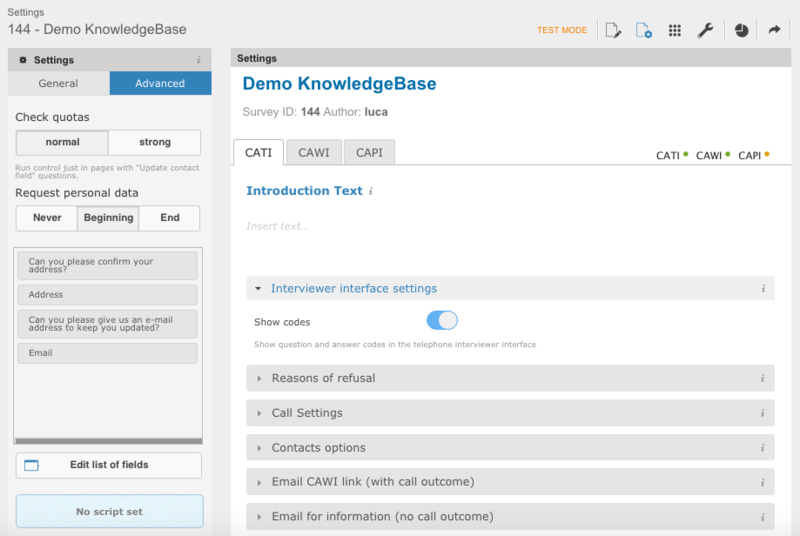 On the left side, click on the “Advanced” tab and select either “Start” or “End” to add the form at the beginning or the end of the questionnaire (pic 1). By clicking on “Start” or “End”, a new button will be displayed called “Edit list of fields”. 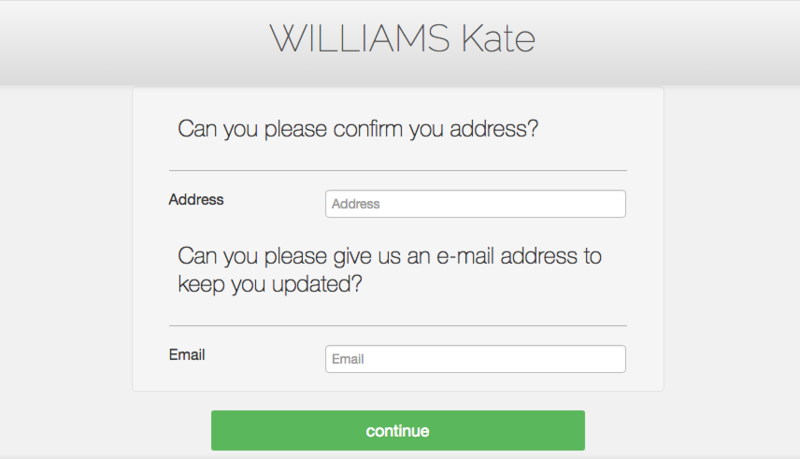 It will open a pop up window where you can customize the form (pic 2). Click on “Add label” to add a box where you can insert the text to request the information. 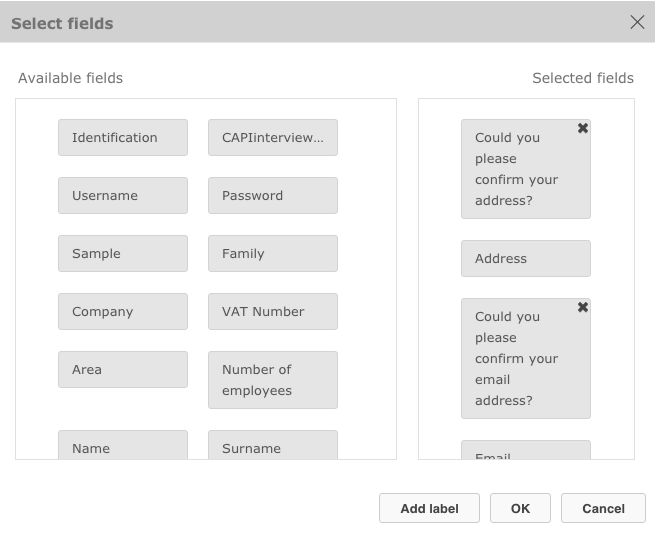 Then you will have to drag all the fields you want to confirm and/or request from the list on the left to the “Selected fields” section.